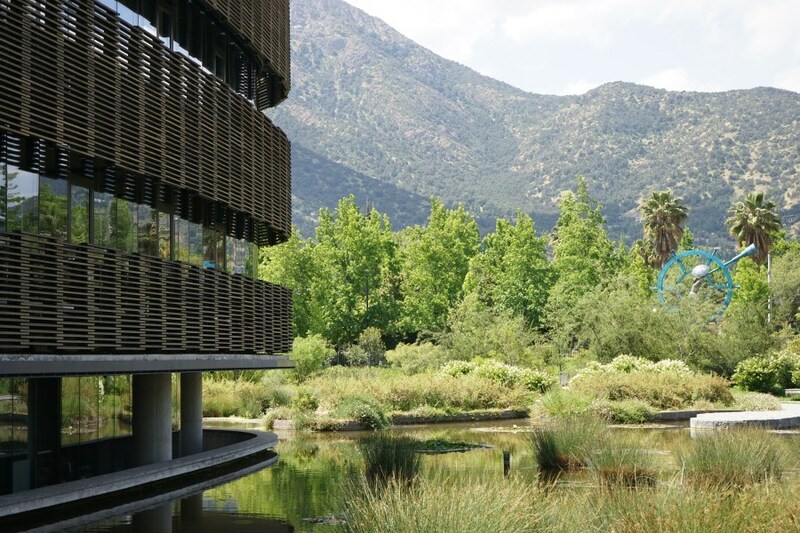 In this tour we will cover longer distances in a private bus, visiting the most representative works of modern and contemporary architecture, present in the newest Santiago zone, developed since the sixties towards the east of the city. 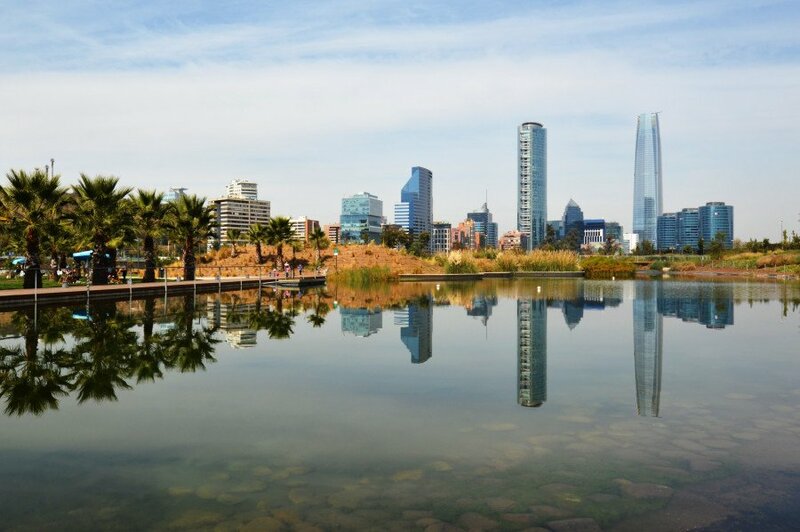 This zone expands until the feet of the Andes Mountain Range, through an extensive garden city, with residential and commercial districts living together with ample parks from which the Skyline of the city’s financial area is observed. The tour starts with an introduction at Torres de Tajamar, conjunct of modern buildings arranged as an entrance door to the east sector of the city. In few minutes we find the Architecture Faculty of Lo Contador, located at an ancient colonial house, within the faculty there are interesting contemporary buildings,as the library under the central yard. 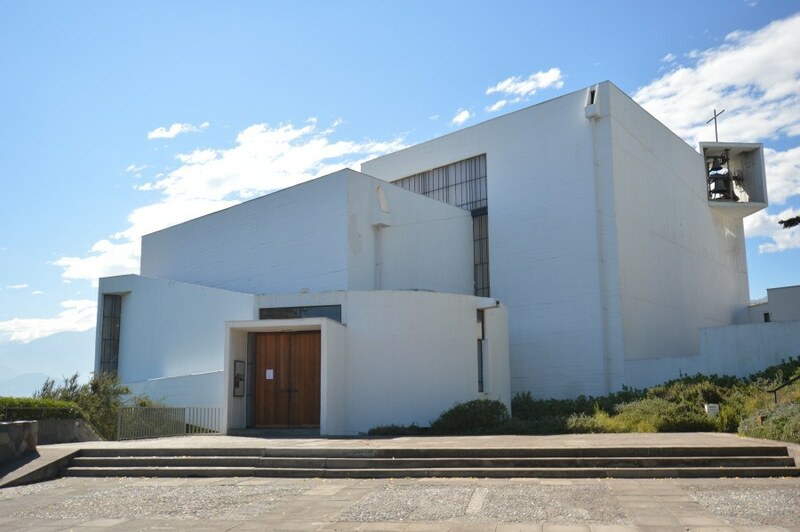 Then we will move in bus towards the Benedictines Monastery (Monasterio de los Benedictinos), modern edification of the sixties, present at a small hill near the Mountain Range. Then we will continue towards the Transoceanica building, here we will lunch at the restaurant located in the border of the park which surrounds the building. Then we will continue the tour visiting the building of the Faculty of Economy UDP, the Bicentenario Park and finally we end at Cerro San Cristóbal summit, here we will have a panoramic view ot all the city, identifying all the visited places.